As ultraportable laptops, netbooks, and tablets grow in popularity, this is an increasingly useful accessory. 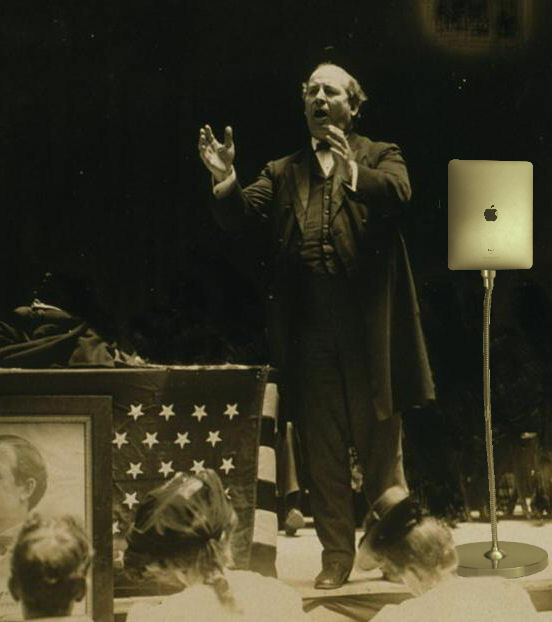 The light weight of today’s computer allows the stand to be a simple, flexible gooseneck without being bulky, clunky, or obtrusive. In the past, using a computer required a flat, horizontal surface for the mouse and keyboard. With the advent of touchscreens and touchpads today, this is no longer a requirement. 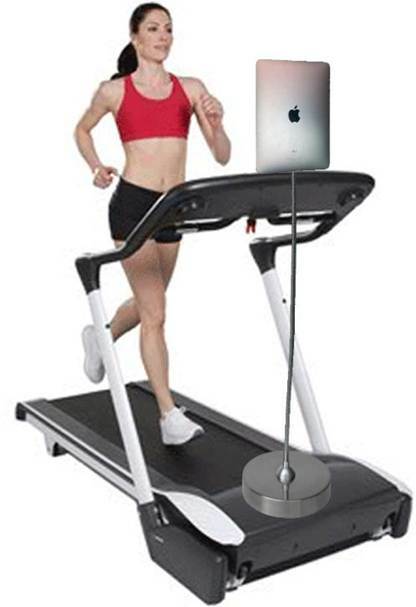 With this invention, we would no longer have to use a computer at a desk and chair. We would no longer suffer from bad viewing angles caused by the arbitrary height of the desk. We would no longer hunch our backs to these arbitrary heights. An example of this is when someone sits on a couch and uses a laptop on a coffee table. 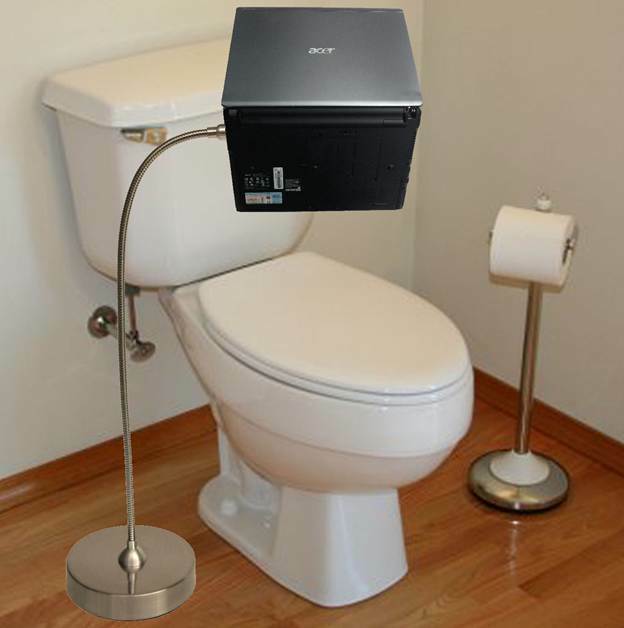 This stand is especially helpful for people with lower back problems. 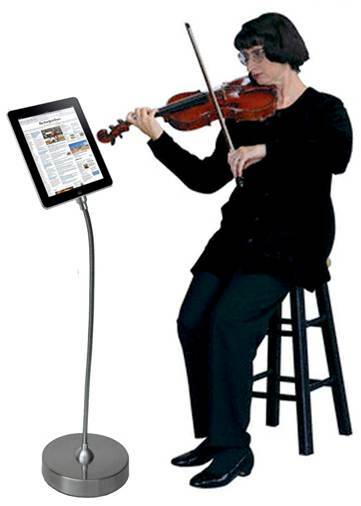 The stand attaches to laptops and tablets (i.e. under 3 lbs.) via something similar to a slide rail (pictured above). This requires the cooperation of manufacturers to adhere to a standard “port”, which would basically be protruding tabs. The flexible gooseneck is hollow inside, which makes it possible to contain a USB or power cable for charging and beyond. The base is wide to prevent the stand from tipping over. The base can be weighted (e.g. 5-20 lbs.) 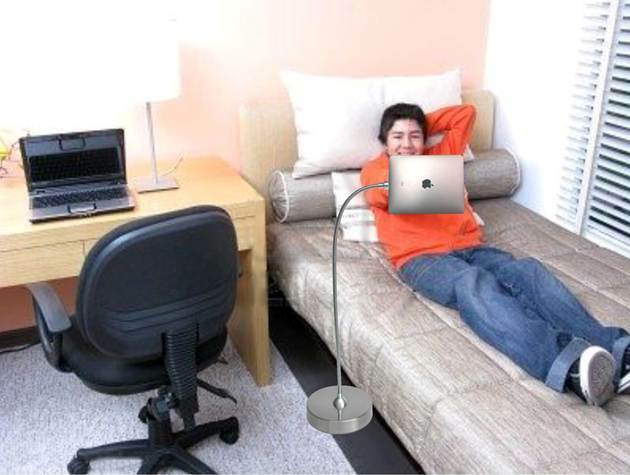 to easily adjust the position of the laptop or tablet without having to step on the base.